To give you ease in accessing the information about Canon PowerShot ELPH 500 HS Manual, here we enclose the Table of Content for this article. With this Table of Content, you can directly go to the certain part of this article simply by clicking the sub topic below. This is exactly why we provide the Canon PowerShot ELPH 500 HS Manual. The only aim is to educate the users of this camera to use this product better so that they can result a good photographical image. It is generally known that look is something important that becomes a consideration for people in buying digital camera product. With the look, People can instantly attracted to a certain digital camera product. More than that, sometimes the choice of camera look is also reflecting the personality of owner as well as the classiness of the camera itself. So, before we hit the Canon PowerShot ELPH 500 HS Manual User Guide directly, now we are going to talk about the look of this camera first. Even it is considered as basic camera, you can’t underestimate its outlook and ability. Focusing on the product’s out case, Canon PowerShot ELPH 500 HS is specially designed in luxurious look and expensive-look cutting. This variant comes in two different nuances, silver and pink. Feel free to select one based on your personality. Based on the Canon PowerShot ELPH 500 HS manual, the case is made of stainless steel, a durable material to resist from corrosion. As a good compact, the ELPH 500 brings futuristic and slim body like you have never imagined before. The body dimension is just about 101 x 55 x 25 mm combining with 186 gram of overall weight. Now there is nothing to worry of bringing this camera everywhere and every time. Looking for a compact point and shoot camera, Canon PowerShot ELPH 500 HS should be on your wish list. This camera is ready to accompany your photography activities with all that simplicity. The controls and menu are also easy to operate, so this camera is the best choice for all user-level. Moving to the product’s features and software, first thing to notice is the 12.1 MP image sensor. Having 1/2.3 inches CMOS technology, the pictures will be very clear without any meaningful dust. Also, you will fall in love with the video quality at its best of 1920 x 1080. On the processor sector, the manufacturer put their trust on DIGIC 4 technology. This chip assures the camera will be more responsive and faster than before. Thing you would like is the ISO settings, special effects, white balance, and JPEG quality levels are easy to set. Just push the menu button, choose the exact setting, and it is done. Now, it is easier with touch screen mode. Unlike its competitors, its built-in flash is able to reach up to 16.4 ft with AF illuminator. One thing that Canon put the attention more is the 4 x-digital zoom lens. Based on the Canon PowerShot ELPH 500 HS manual, this lens is proved by 4.3 – 18.8 mm focal length lens with maximum aperture at f/2.0-5.8. Several software to be existed in Canon PowerShot ELPH 500 HS are Canon Image Browser, Canon Zoom Browser EX, Windows Modules, Apple Mac OS X module, and many more. Jonathan Lee said that the 3.2 inches touch screen is quite phenomenal. With 460K-dot inside, this panel brings clear and sharp pictures and videos. It is the right time for you to try it. Go grab Canon PowerShot ELPH 500 HS at 300 USD and get the easiness of photography. Read another review about this camera in this page. 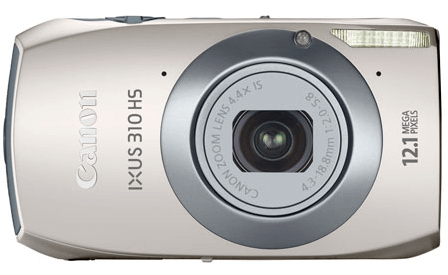 As it is stated at the beginning of this article, the aim of providing this writing is to bring the Canon PowerShot ELPH 500 HS Manual. This is the manual that will give you the information related to the specification, features, operation, instruction, camera manual, and others. So, for you who want to look for information regarding to this Olympus camera product, referencing to the manual below will be the best thing to do. To give you the better access, we will provide the manual in PDF. So, before reaching out to the manual, it will be better if you download the PDF reader software first. That’s all of the information related to the Canon PowerShot ELPH 500 HS Manual. We hope that the information below could be beneficial to update your understanding toward this camera product. If you have any thoughts about this product in general, we welcome you to put them in the comment session below. And if you find this information is useful, sharing this article in your personal page will be so much hepful.